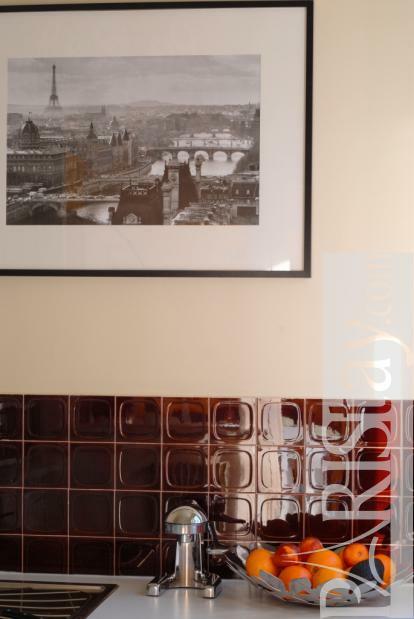 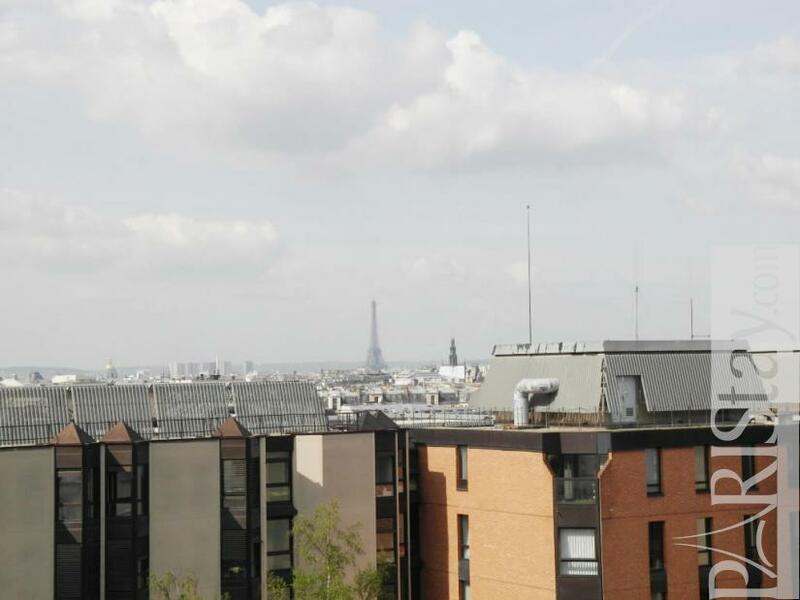 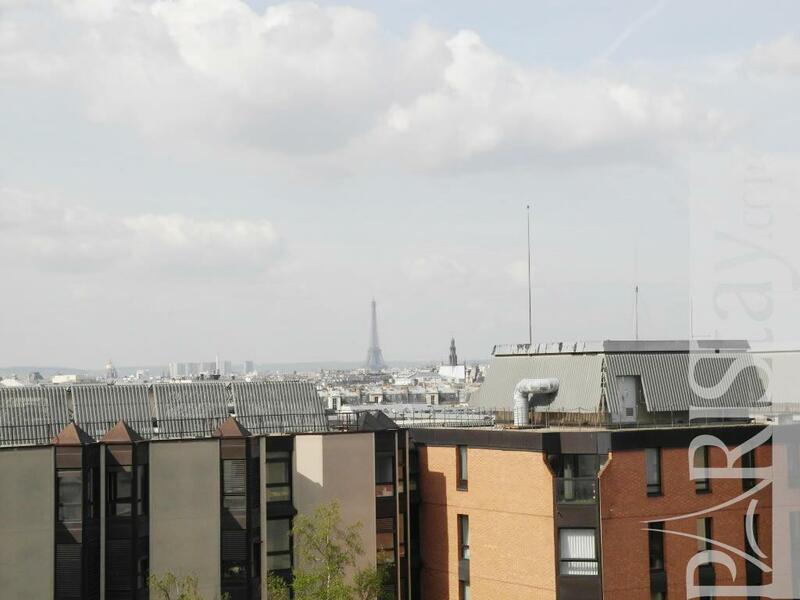 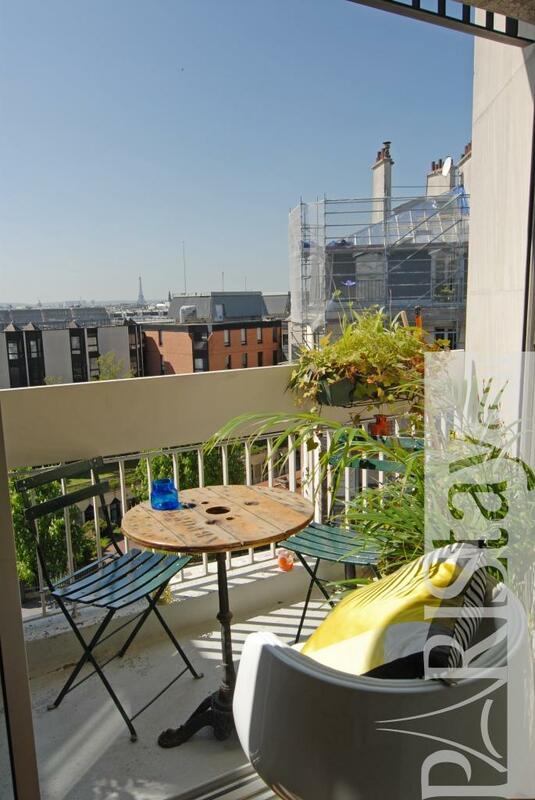 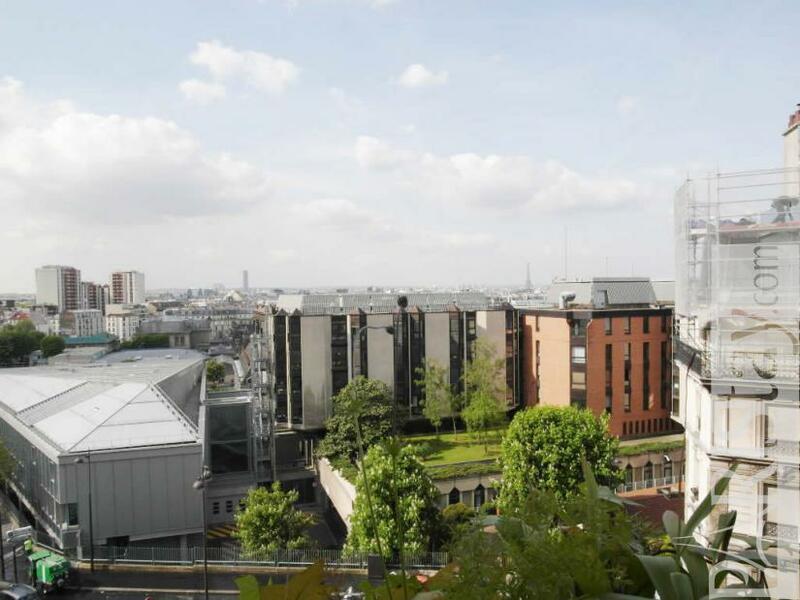 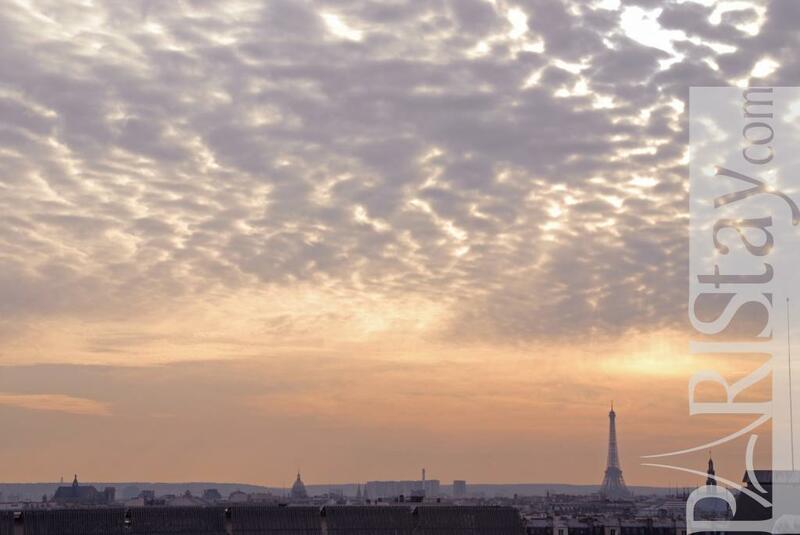 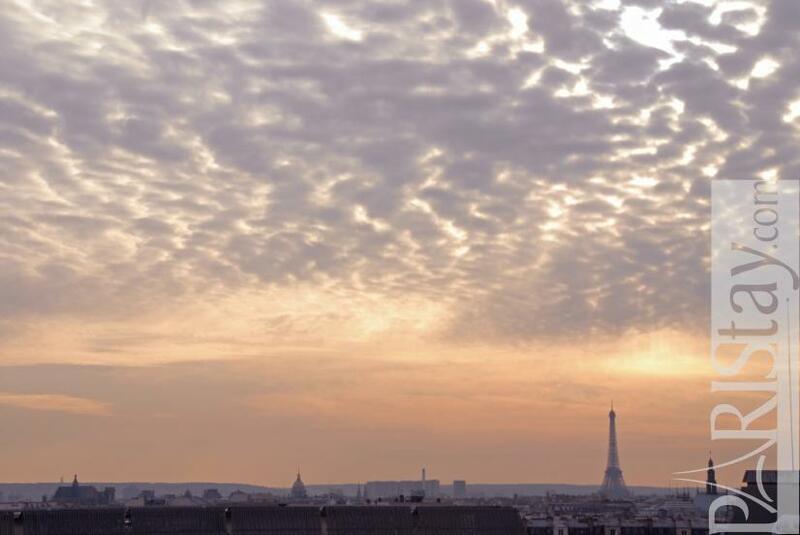 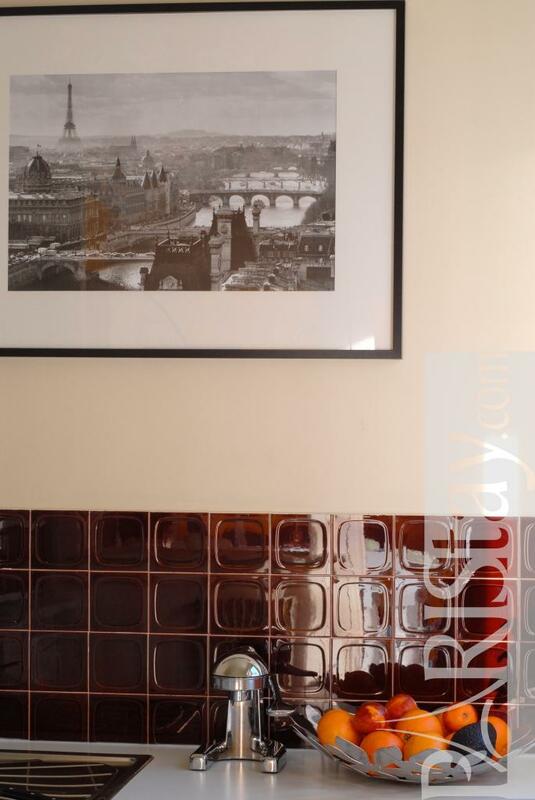 Little nest overlooking Paris and its monuments, this apartment offers you an incredible view on the city, that you can enjoy from the interior, as well as from the balcony. 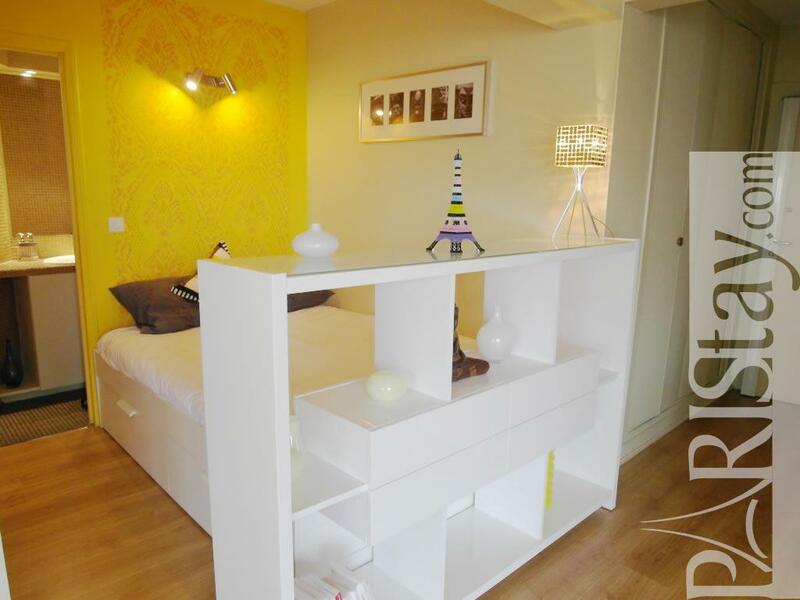 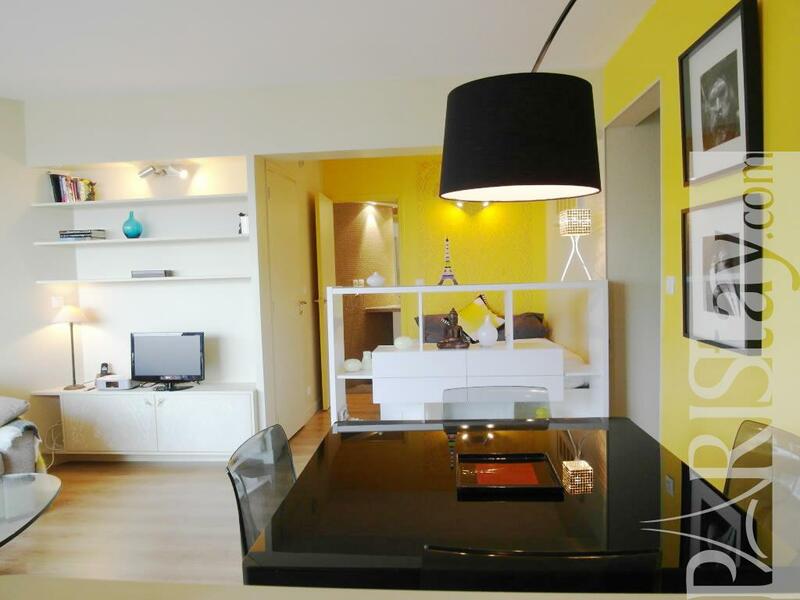 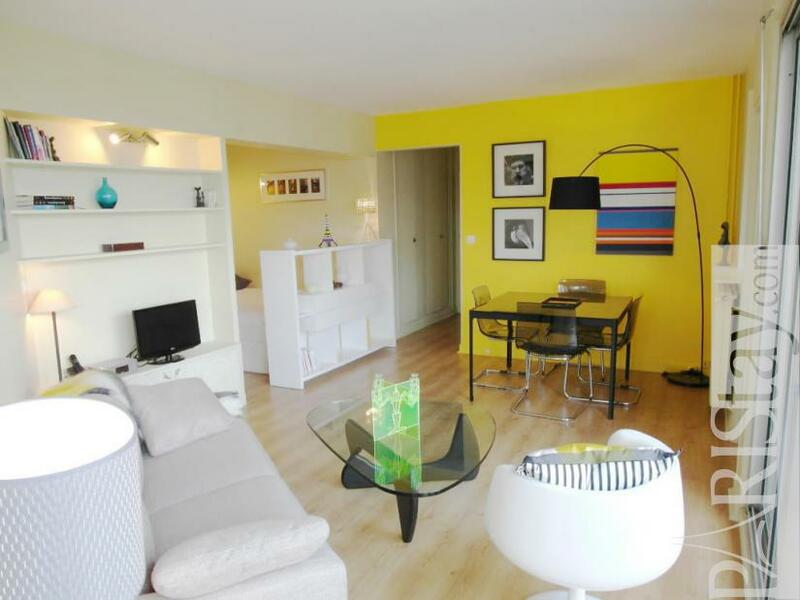 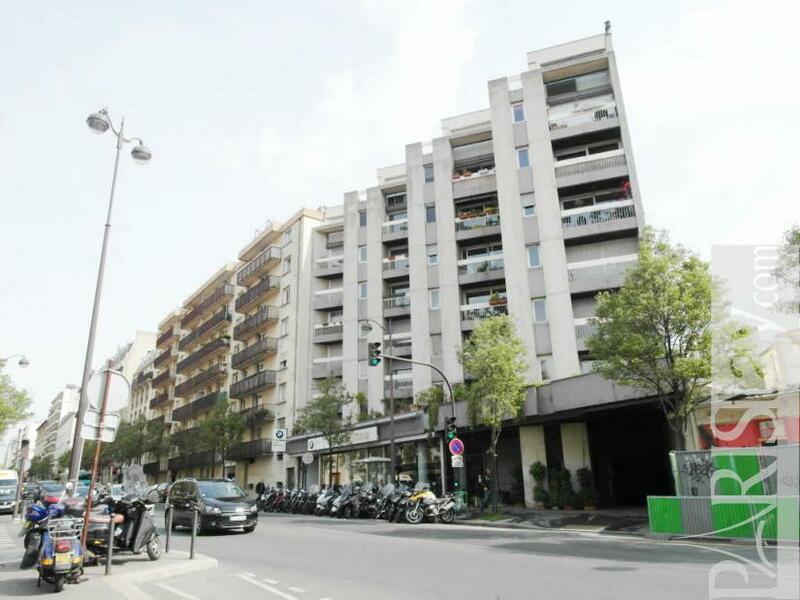 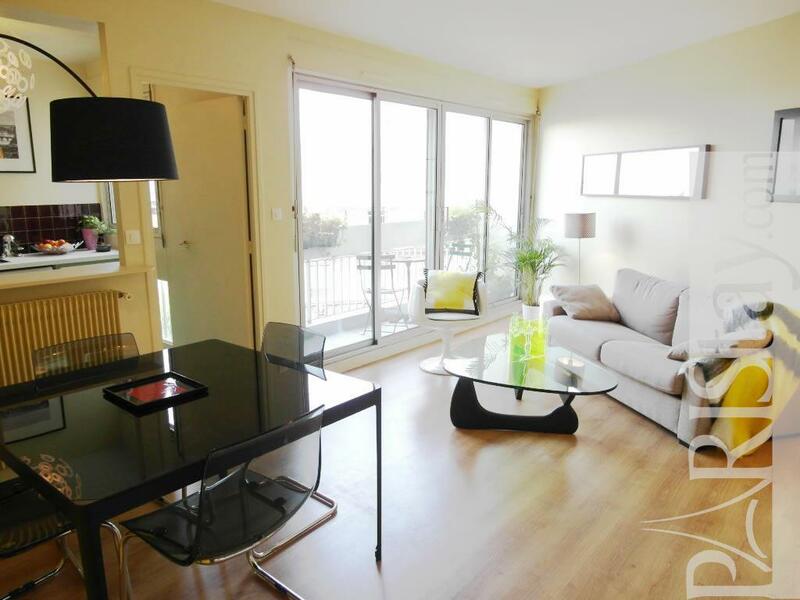 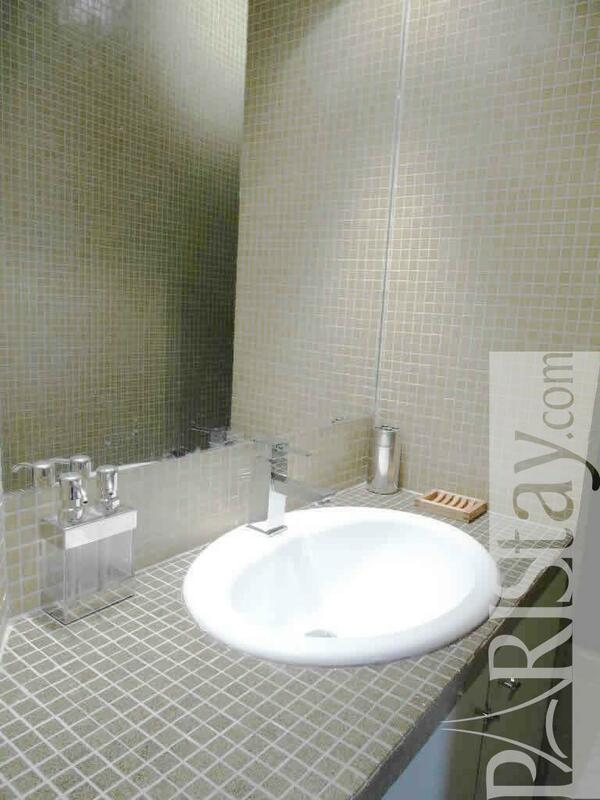 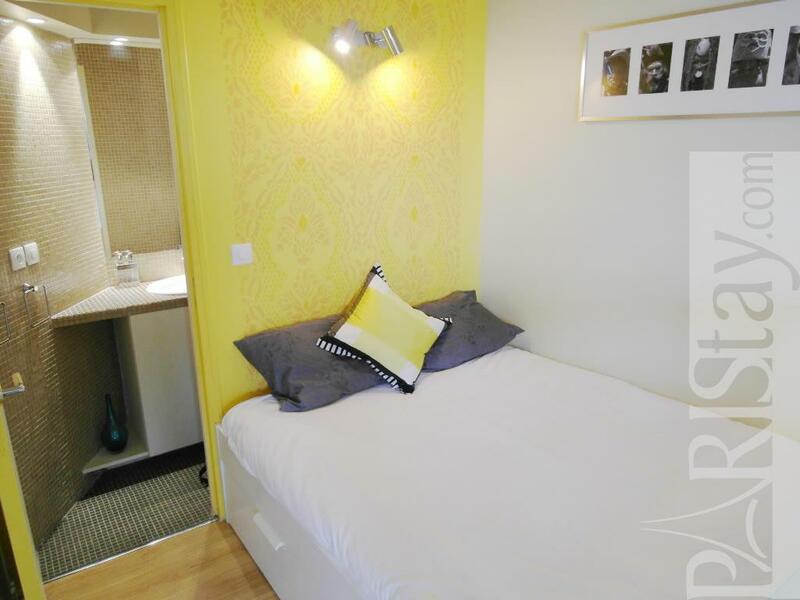 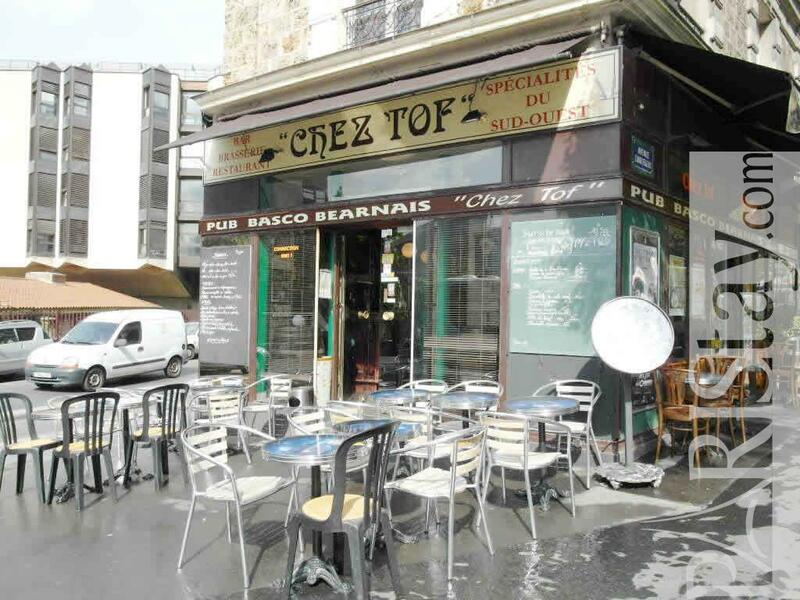 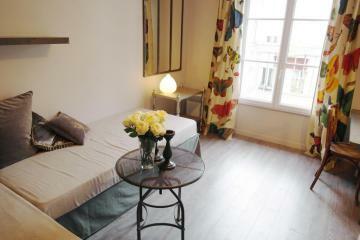 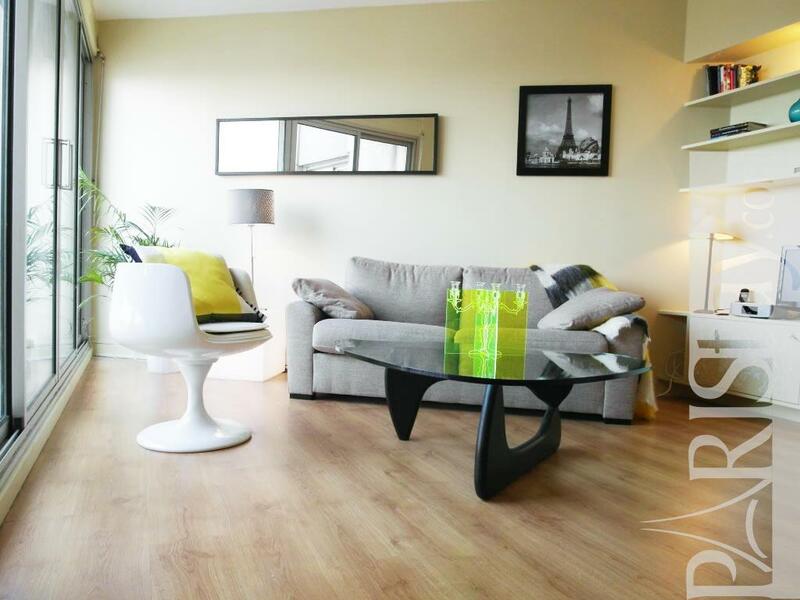 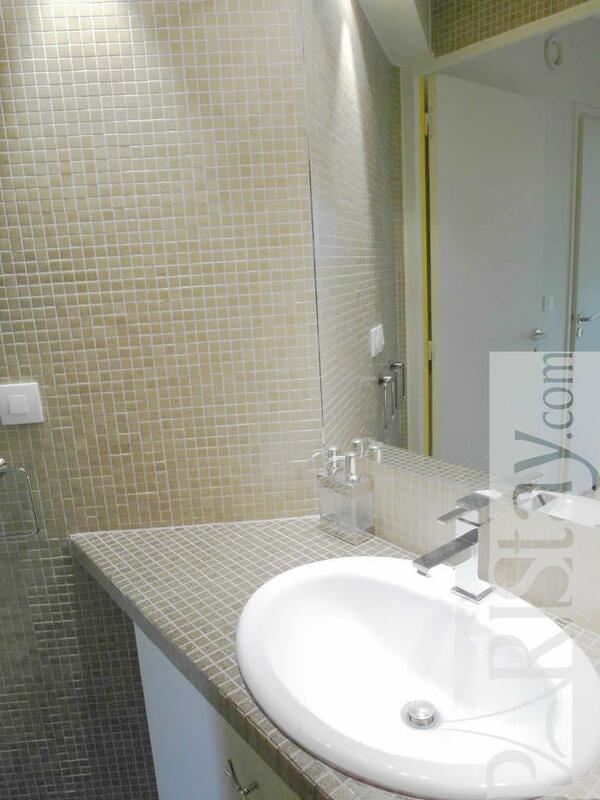 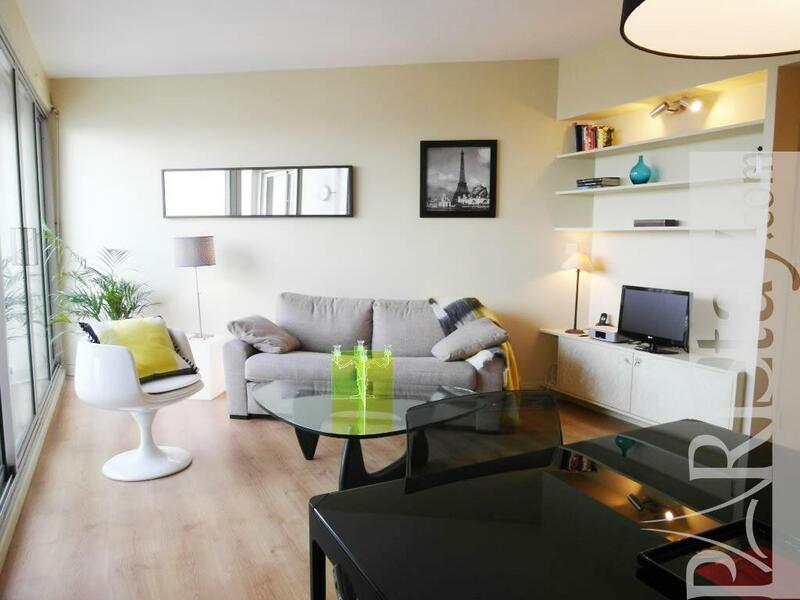 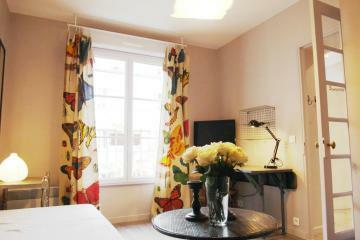 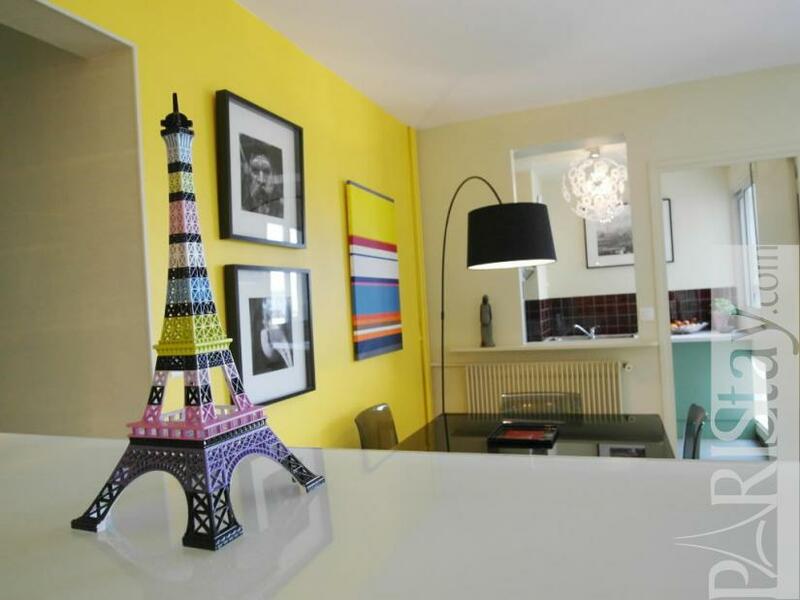 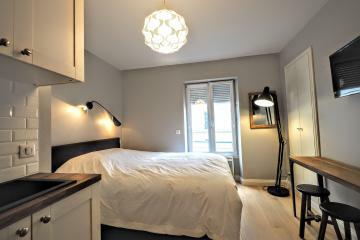 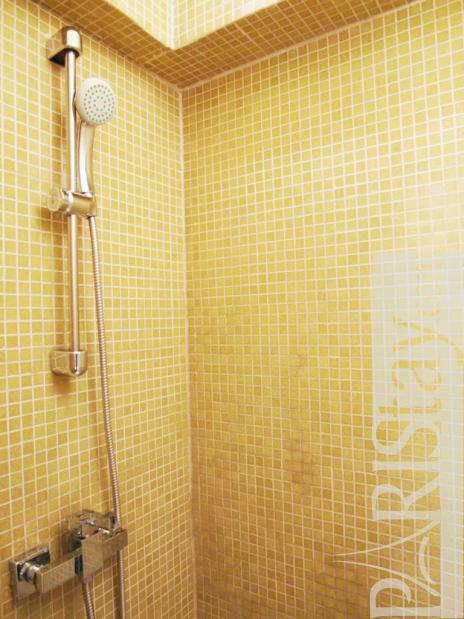 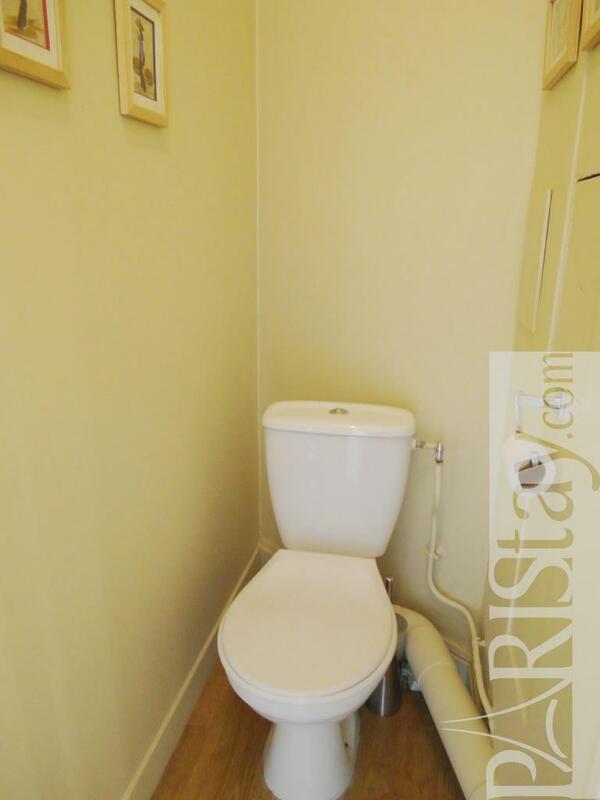 It is located in the trendy district of Canal Saint-Martin, just off Place de la Republique. 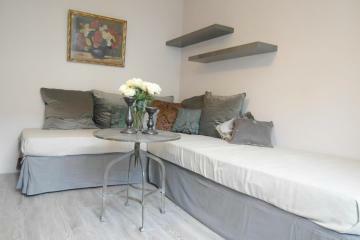 This Paris studio alcove apartment was decorated by an interior designer. 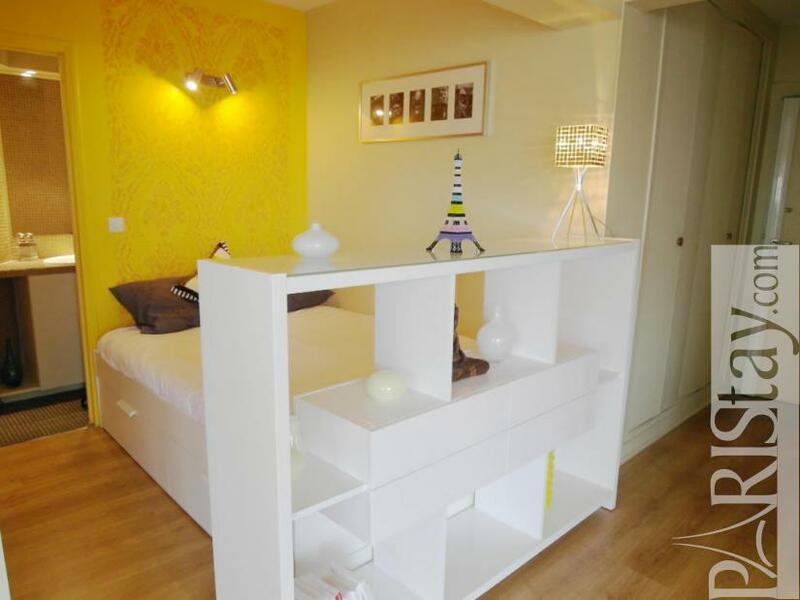 It is comfortable and well designed in a fun and contemporary style. 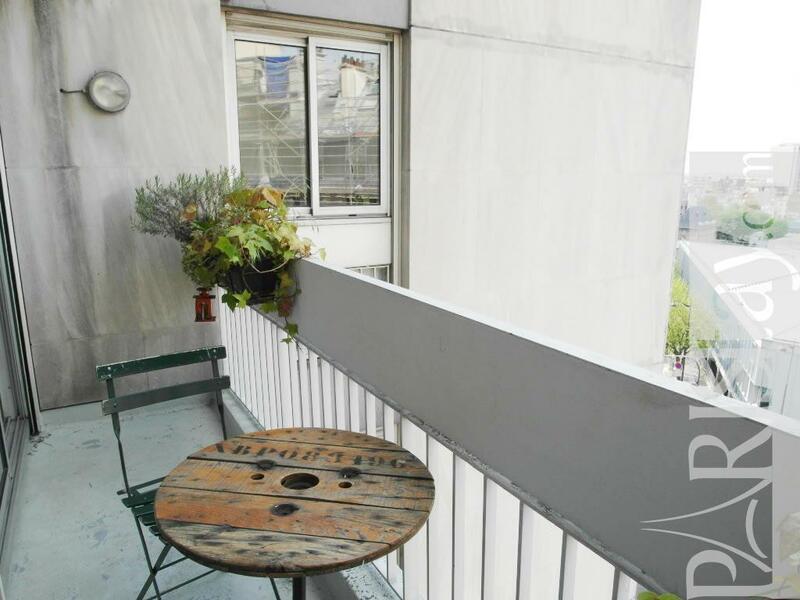 Furnished to a high standard, the apartment is situated on the sixth floor with elevator of a recent and modern building, and overlooks the city from its large windows and 6 sq meter balcony. 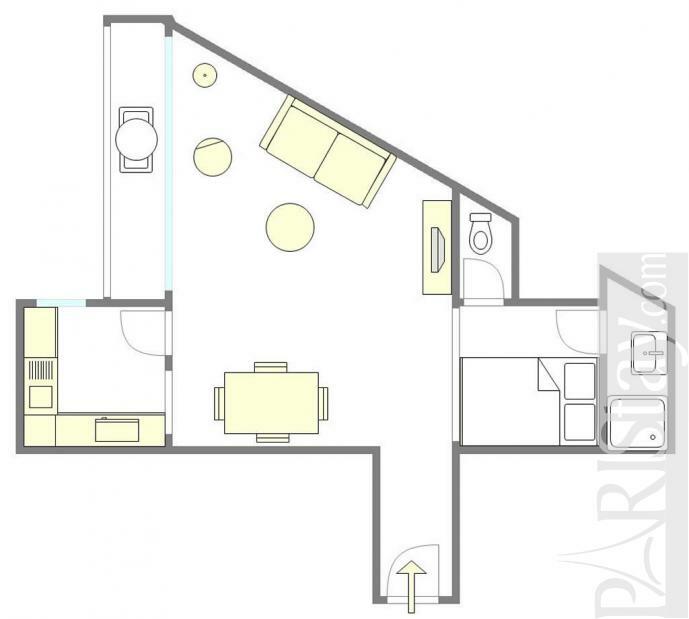 All made with hardwood floors, it has a large living room with a large panels window. 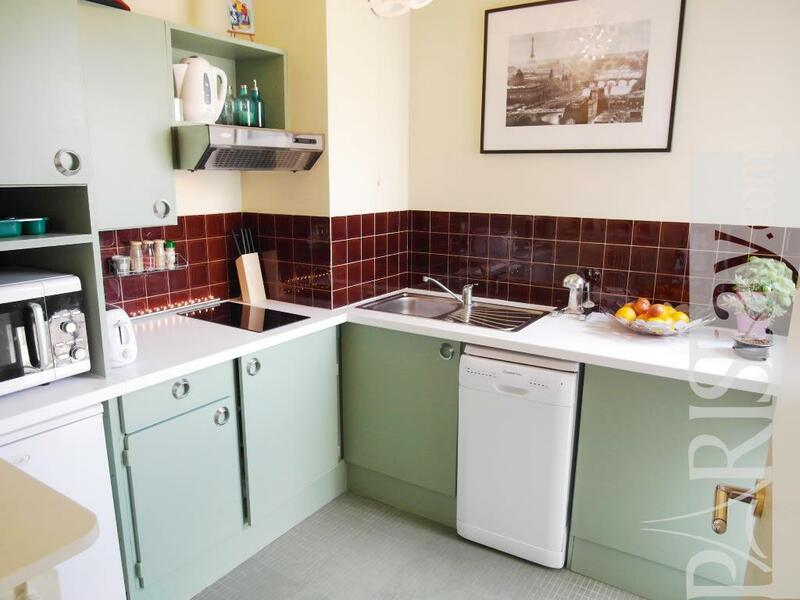 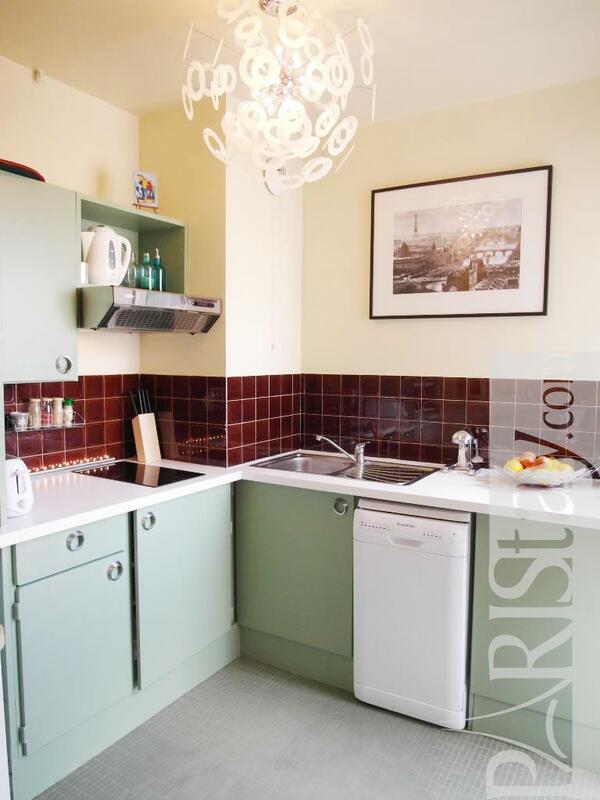 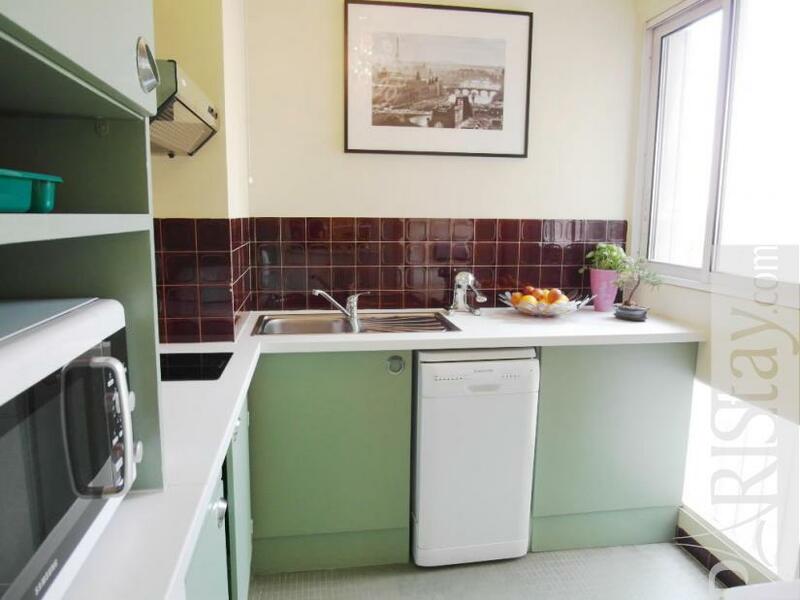 Kitchen is separated and equipped with 2 vitro ceramic plates, a large combi microwave/oven, fridge and dishwasher. 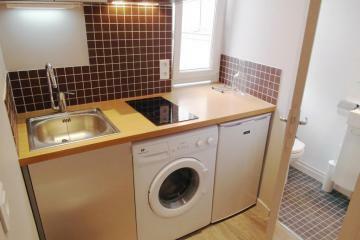 Washing machine is also provided. 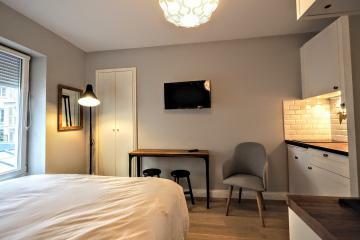 It has a high-speed ADSL internet connection (wireless, just bring your laptop), cable TV, phone, stereo system, flat screen TV. 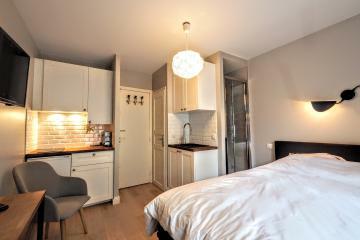 Heating and hot water is collective and included. 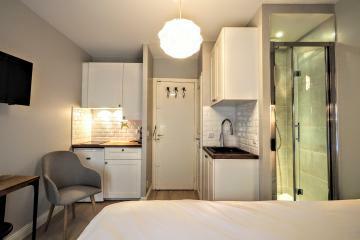 Everything is here to make your stay comfortable and memorable! From the balcony, you can have dinner and enjoy the view. 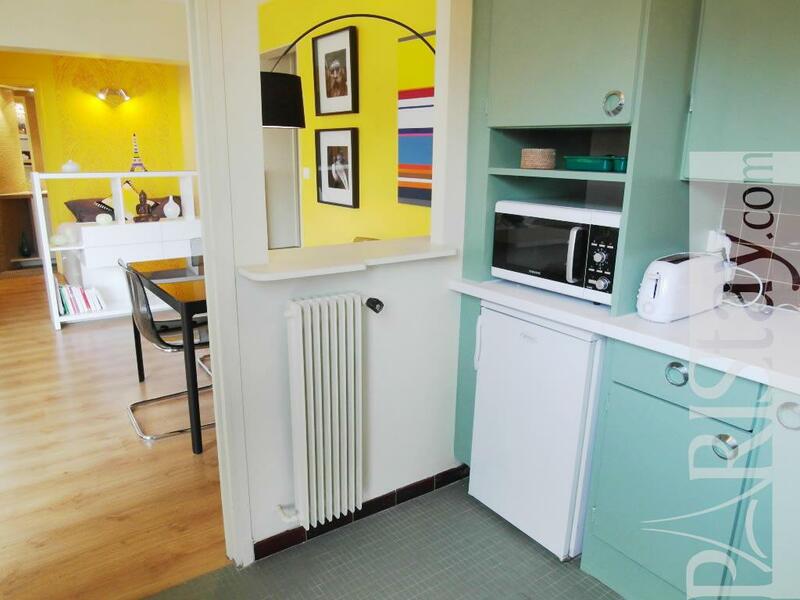 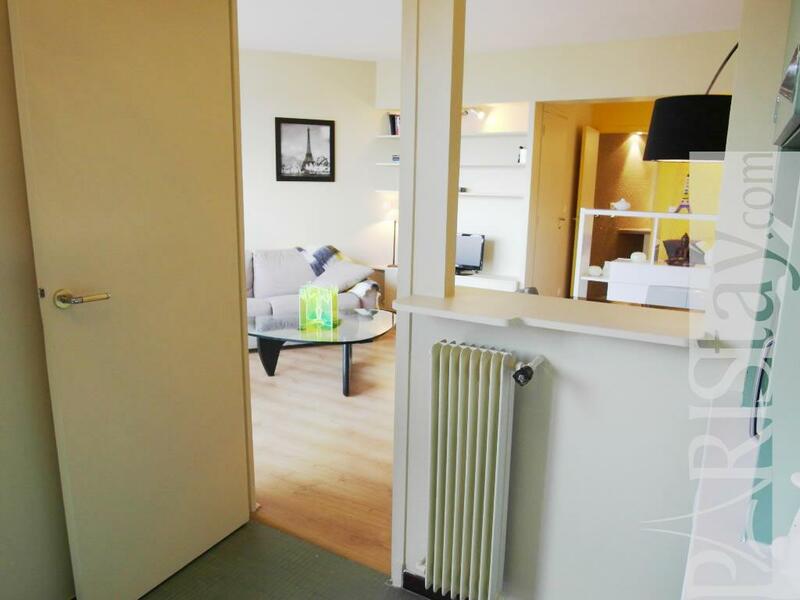 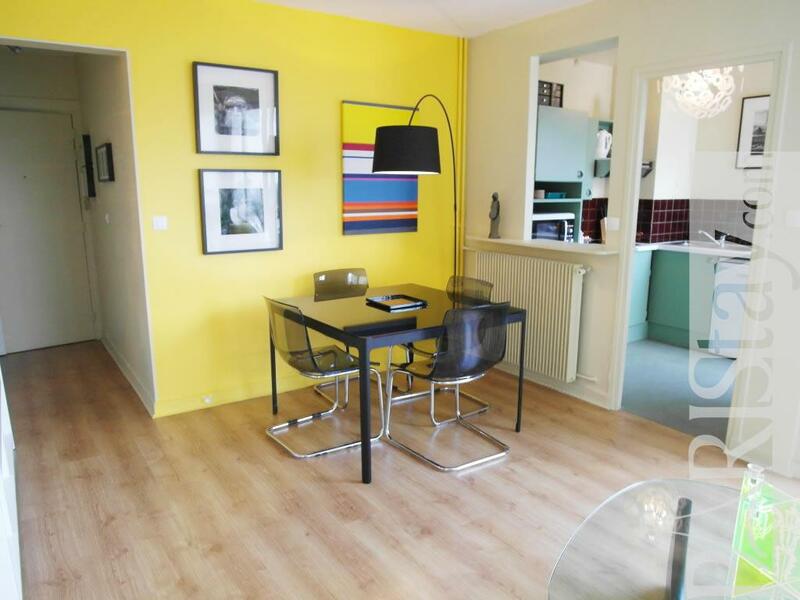 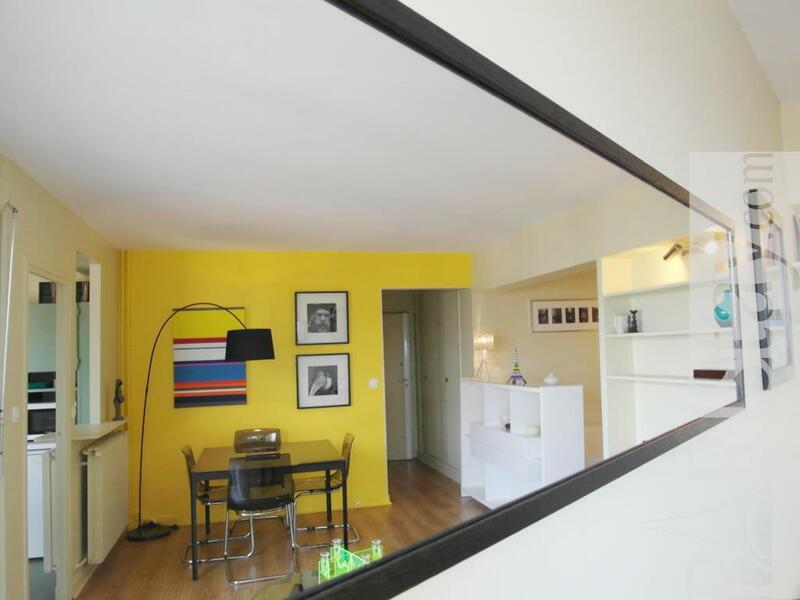 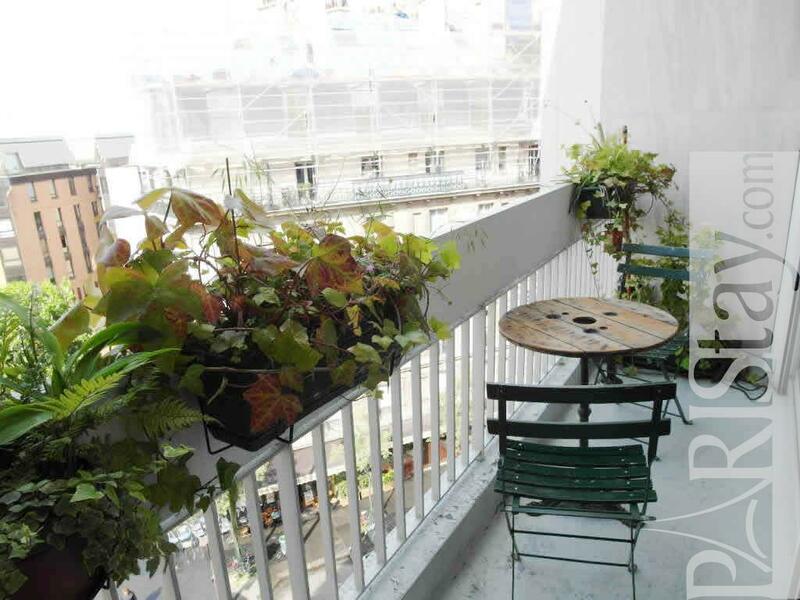 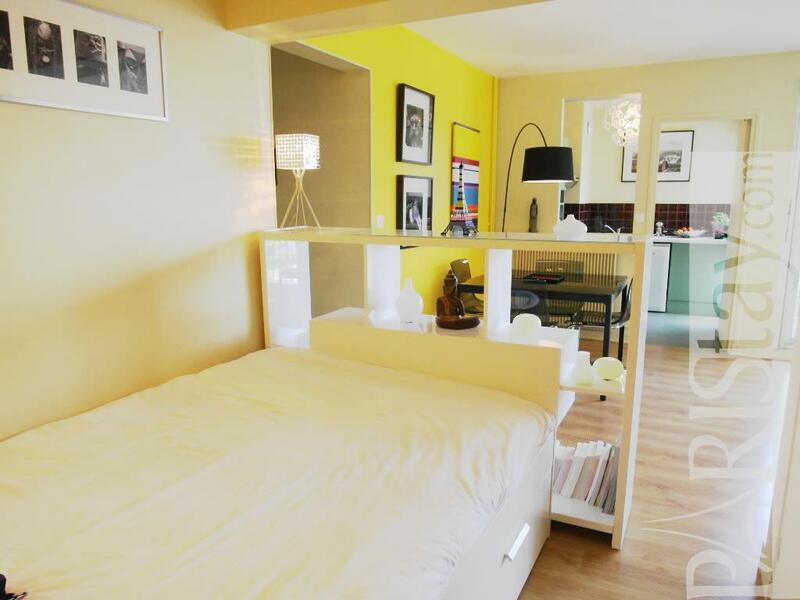 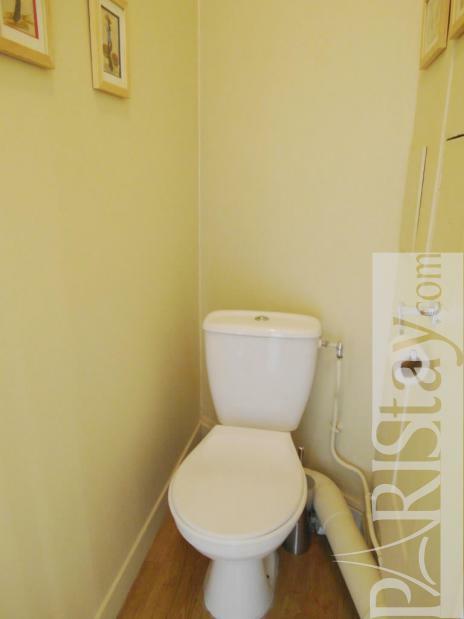 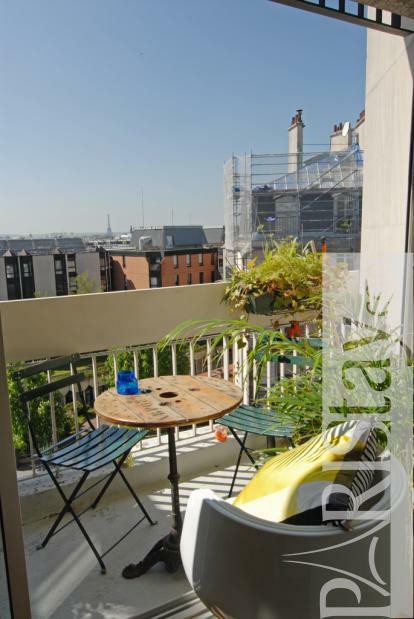 Ideal Paris long term rent the location is great also, it is close to the trendy canal Saint Martin district, the area is full of tremendous restaurants and bars within short walking distance. 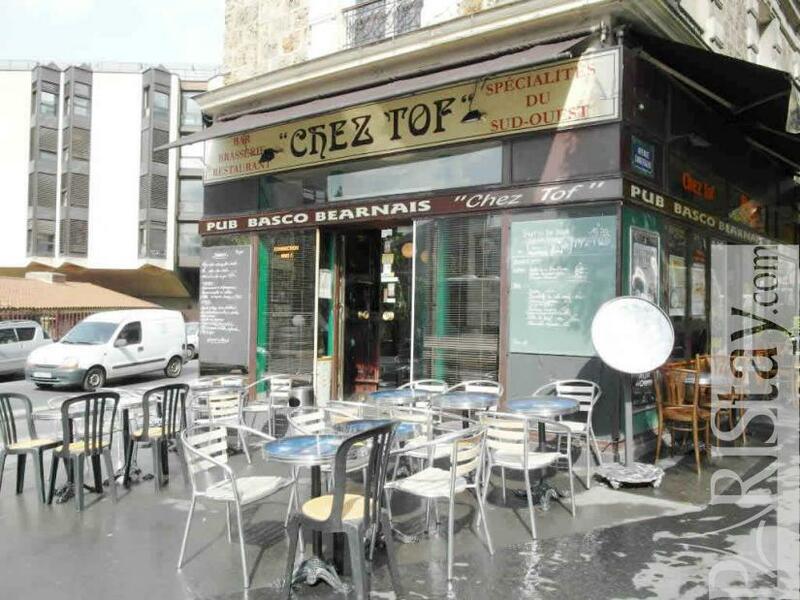 All stores stand nearby (supermarket, pastry, grocery). 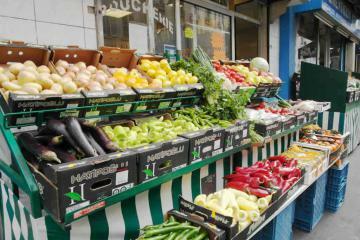 You still might want to shop at the open-air Belleville market - cheapest & most colorful market in Paris. You can have a daily jog in the Buttes Chaumont Park -one of the most popular parks in Paris- or, after enjoying a breakfast on the balcony enjoying the view on the city, take a swim in the newly renovated swimming pool just in front of the flat! 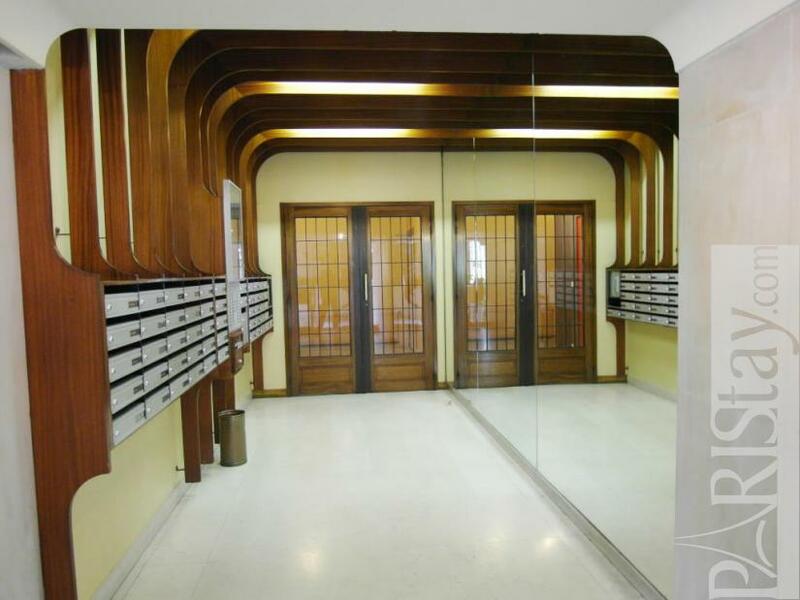 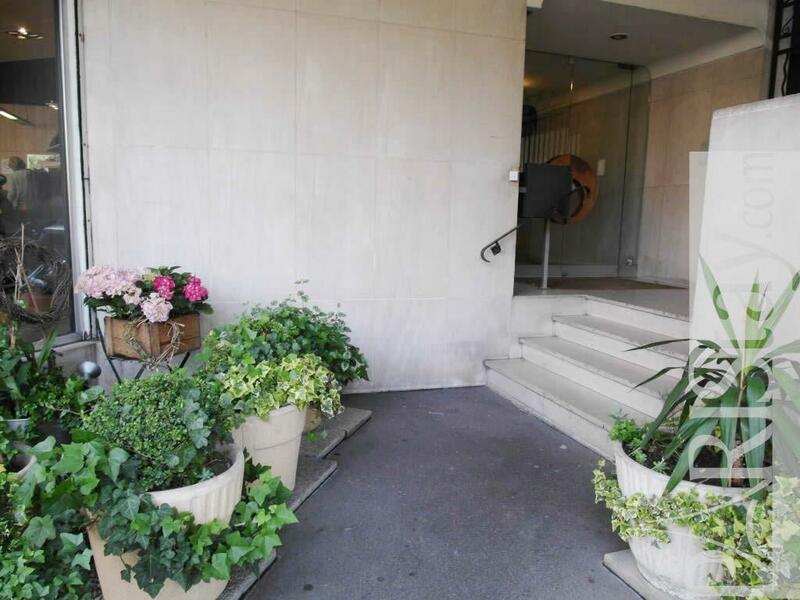 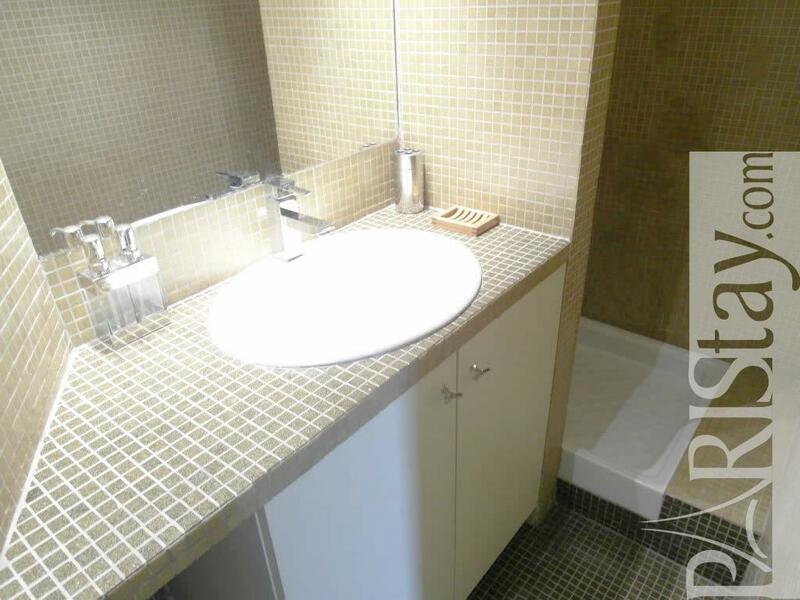 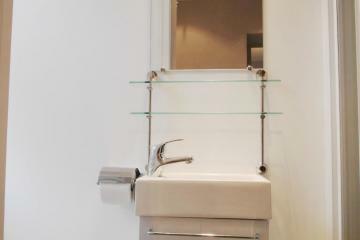 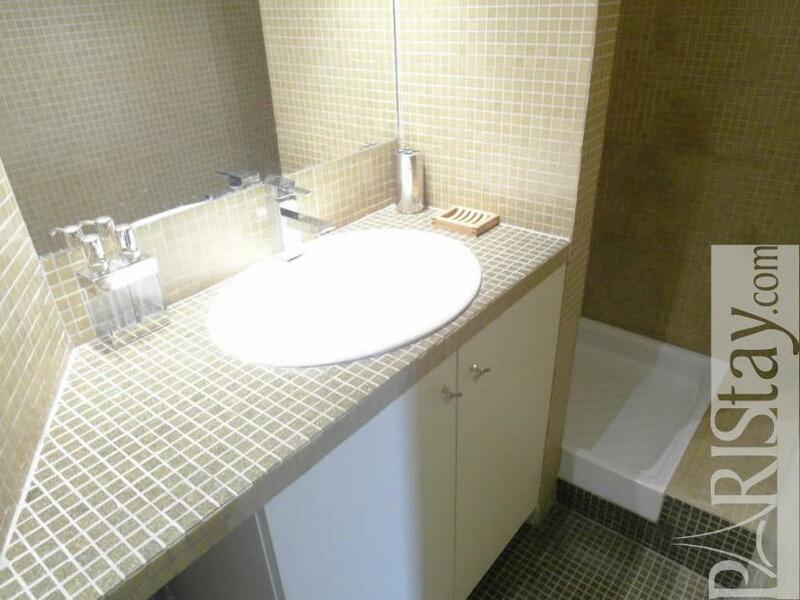 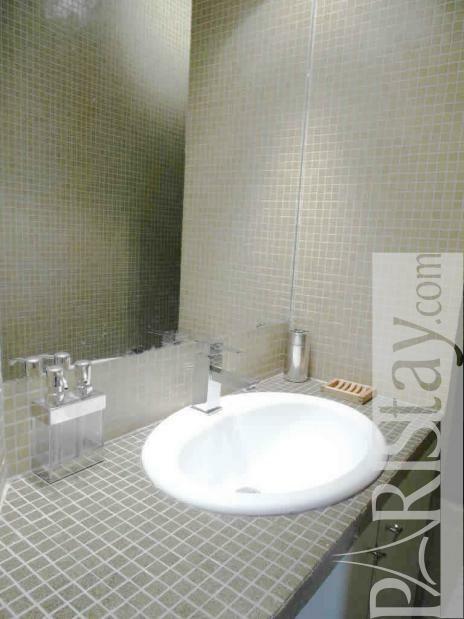 1973's Building, 6 rd floor, with Lift, entry code security system, Studio Appartement, furnished, Approx: 35m² / 376 Sq.Ft.